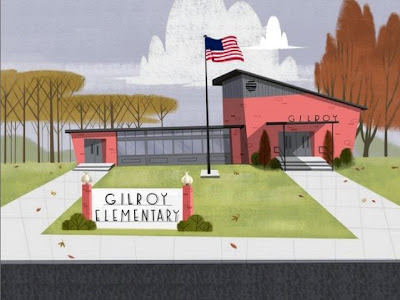 So here are a few more images from Project Gilroy. The school was layed out By Chris Tsirigotis and painted by RD. We have a few X-ray scenes that play a part in the story. The house and barn is a small digital color key painted by RD. Go to SHANNONTINDLE.BLOGSPOT.COM to see more!